For most of us, changing corrupt dealings we experience every day remains insurmountable. We are often afraid what will happen to us if we do report corruption. Those who do come forward often bear great personal risks. That is why the UN Convention against Corruption, which our kingdom has ratified, affords whistleblowers a special status and tasks the authorities with protecting them from any unjustified treatment. I work for Transparency Maroc, an independent civil society organisation that fights bribery. Each year, we award Integrity Awards to brave corruption fighters who stand up for the values of justice and the public’s right to know. It was only appropriate that two former award winners, Chakib Khayari and Mourad Kartoumi in 2010 and 2011 respectively, would feature in the upcoming documentary It Belongs to You: Public Information in the Middle East and North Africa, that highlights how people have used information to stand up against corruption. I have known this proud fruit seller for several years. 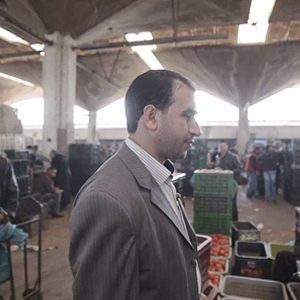 Since exposing the embezzlement of contracts in Casablanca’s fruit and vegetable market, he has experienced a lot of problems. The market serves as the food bowl of his city, so when Mourad blew the whistle implicating several managers and accountants it started an important conversation about corruption in our country. The case is still ongoing, but some things have changed. The new constitution gives us citizens the right to access information and we at Transparency Maroc are urging the government to pass a comprehensive law that implements this right. If that were the case, Mourad would not be alone, and everyone could ask for information that might reveal embezzlement. But we still need better protection for whistleblowers and Transparency Maroc is also advocating for detailed legal provisions for those brave people. 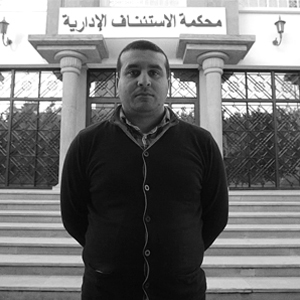 Chakib Khayari is a human rights activist and another Moroccan whistleblower who exposed high-level civil servants aiding drug trafficking in his hometown of Nador. Khayari spent two years in prison for his exposure, accused of ‘offending state institutions.’ Khayari alleged that security forces were lax and allowed a flourishing drug trade to Europe. Chakib would sit and count the boats full of shipments of cannabis farmed in the Rif leaving the port unhindered. He went public with his findings. He was charged and wrongly convicted for his public conscience. In Transparency International’s recent Global Corruption Barometer, 70 per cent of Moroccans surveyed said that the judiciary was corrupt. At Transparency Maroc, we examined the judiciary and found that backlogs of cases were increasing and that bribery scandals dogged the judiciary. We are publishing the results in a report It Belongs to You: Public Information in Morocco. The video and report will help all Moroccans understand the value of public access to information and that whistleblowers are not only brave and need protection, but that they speak the public’s conscience and help us live in a country free of corruption.